The Princeville Ranch Adventures Zip Express is the same as the Princeville Ranch Zip N Dip without lunch. 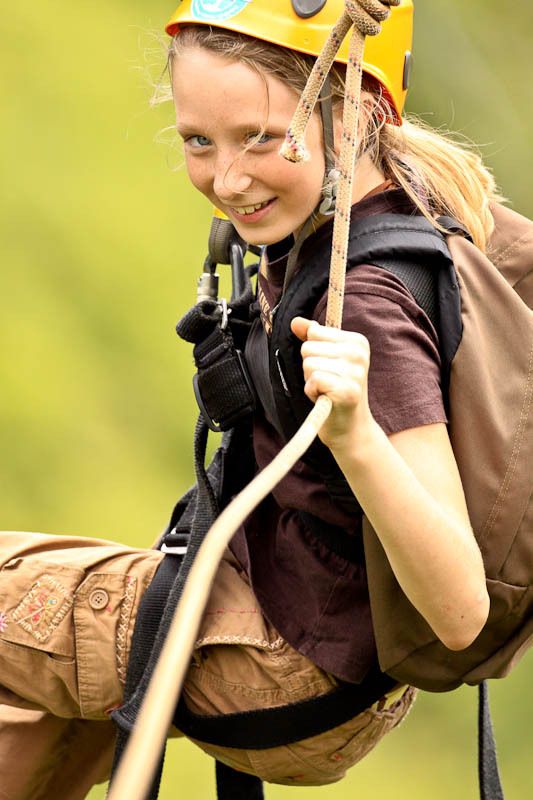 Enjoy the full course at Princeville Ranch Adventures. 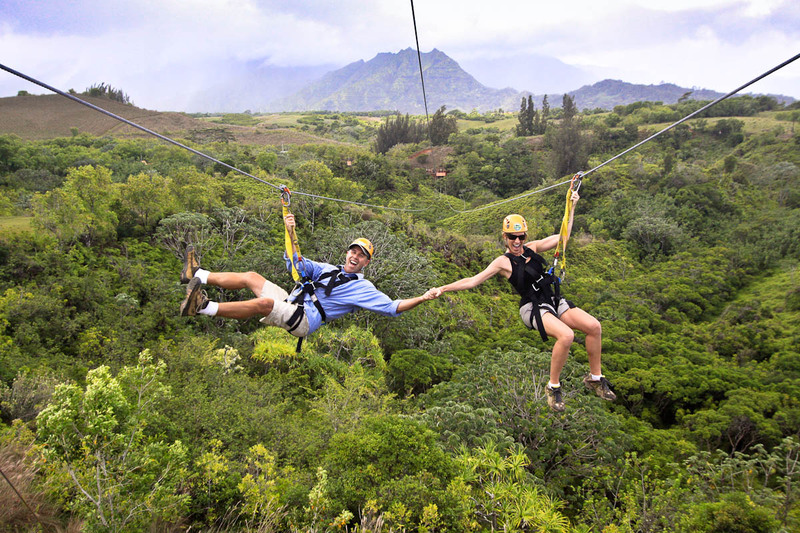 The Last Zipline is called “King Kong” which is a 1200 foot Hawaii Zipline where you can race or go hand in hand with your partner. This tour is all about zipping. *These ziplines are approx. 150ft above the valley floor. 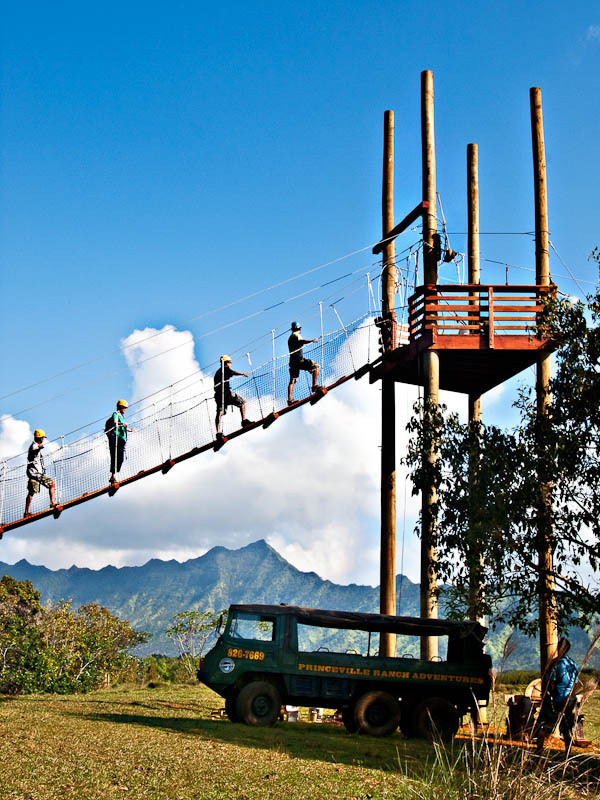 Zip line the full course on the private lands of Princeville Ranch in just three hours! Fly and soar through a combination of eight ziplines and a suspension bridge spanning a waterfall. 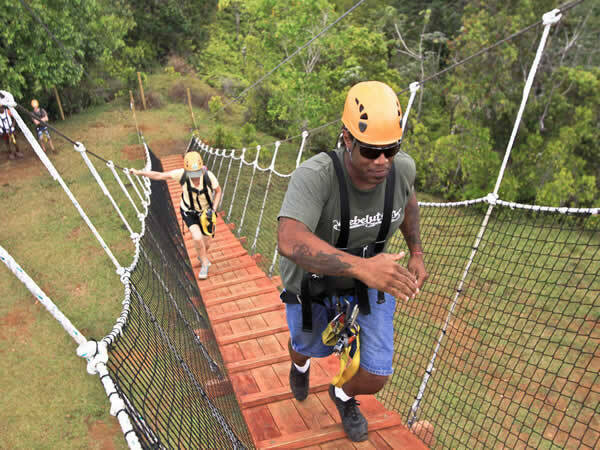 Princeville Ranch Adventures offers flying over tree tops across to the other side. Hiking distance is less than one mile. The tour/activity is subject to cancellation due to weather. Please be aware that participants may get muddy. Tours go out rain or shine. In the event weather is determined to be hazardous, the tour maybe canceled and guests may be rescheduled.